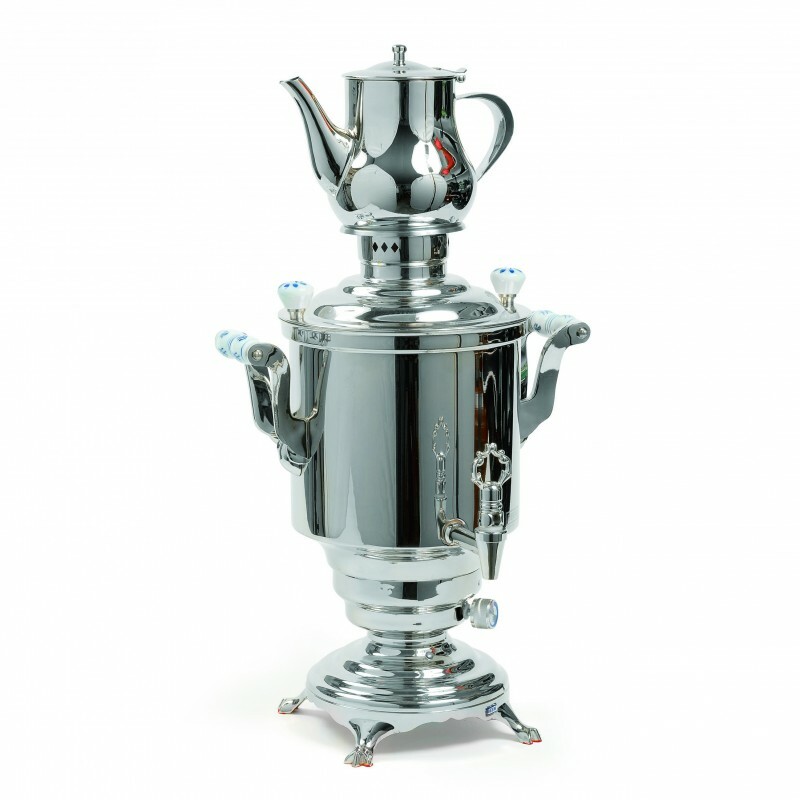 Prepare your tea in the traditional style with a Samovar. 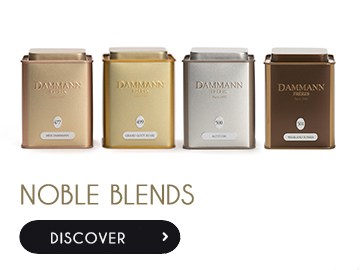 The perfect way to ensure your teas are always at the ideal temperature. Can be used to boil water on a continuous basis to dilute the tea. Various types of tea can be combined together in this teapot. This means the strength of the infusion can vary from one cup to the next. Capacity in the water reservoir: 5 L - Teapot capacity (includes built-in tea filter): 1.3 L Power (hidden thermostats on the base): 1500 watts to quickly boil water, turns off automatically at 800 watts when the water is about to boil and at 700 watts to keep the water hot. The thermostats which can be adjusted individually, are designed to save energy, and include protection against overheating and an interrupter switch to prevent heating when no water is present. Its round handles are heatproof. Small pieces made from porcelain decorate the samovar.